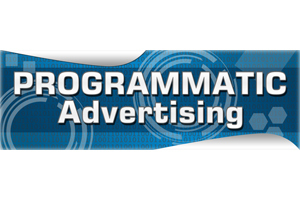 Programmatic ad buying is using software to purchase digital advertising. This is opposed to traditional manual ad buying that involves the complex process of RFPs, contract negotiations, and insertion orders. Programmatic advertising attempts to automate the media buying process in order to remove friction from the process, including the need to physically sign, circulate, and execute insertion orders and change orders. At its essence, programmatic separates the audience from the media property in a manner that allows advertisers to only target the specific audiences they desire. Thus, advertisers can bid higher for the more desirable audience. Another benefit to programmatic includes URL targeting via white lists and black lists. What are the biggest challenges for pharma adopting programmatic advertising? Fraud: There are both perceived and real challenges around “quality” in the programmatic ecosystem. Programmatic initially was rife with fraud. Much, though not all, has been cleaned up, and efforts are underway to continue to monitor, police, improve and remove the bad actors. Transparency: Another barrier to pharma embracing programmatic, is trust between brands and agencies. The release of the ANA reports on media transparency, highlights the importance of agency transparency and disclosure on fees, bidding practices, and other pricing practices. Brand Safety: For legal and regulatory reasons, as well as from a brand perspective, programmatic in pharma can be challenging. Pharma brands are wary of showing up on sites that could not only be damaging to their image, but also in violation of governmental regulations. They are extremely cautious about ensuring their advertising appears in a “well lit” environment due to legal and regulatory concerns. However, with systematic checks, this is increasingly possible in programmatic today. How does EHSX make programmatic advertising safe for pharma? eHealthcare Solutions solves these challenges with EHSX Private Exchange & Marketplace. EHSX is the first neutral, independent, and private digital ad exchange built exclusively for healthcare and pharma publishers and advertisers. EHSX makes programmatic safe & compliant for pharma through transparency and control: control of white lists, choice of monitoring software, contextualized targeting, and quality audience segment targeting. How is EHSX transparent in programmatic buys for pharma? EHSX makes programmatic transparent to pharma because if we act as your trade desk, we act as your agent. Advertisers get full exposure to the clearing prices and fee schedule. Advertisers know exactly what they are buying, and how much it costs. Furthermore, EHSX is a private exchange; only the most respected healthcare publishers, medical societies, journals, and associations are represented, and only the most trusted brands are invited to participate. To learn more about plugging in to EHSX, call (609) 882-8887 to speak with an EHSX representative today. Media Transparency – How are agency/client relationships affected? R.J. Lewis is the President and Founder of eHealthcare Solutions.